What a week. It is Wool Week so all the events have to be squeezed into seven days. 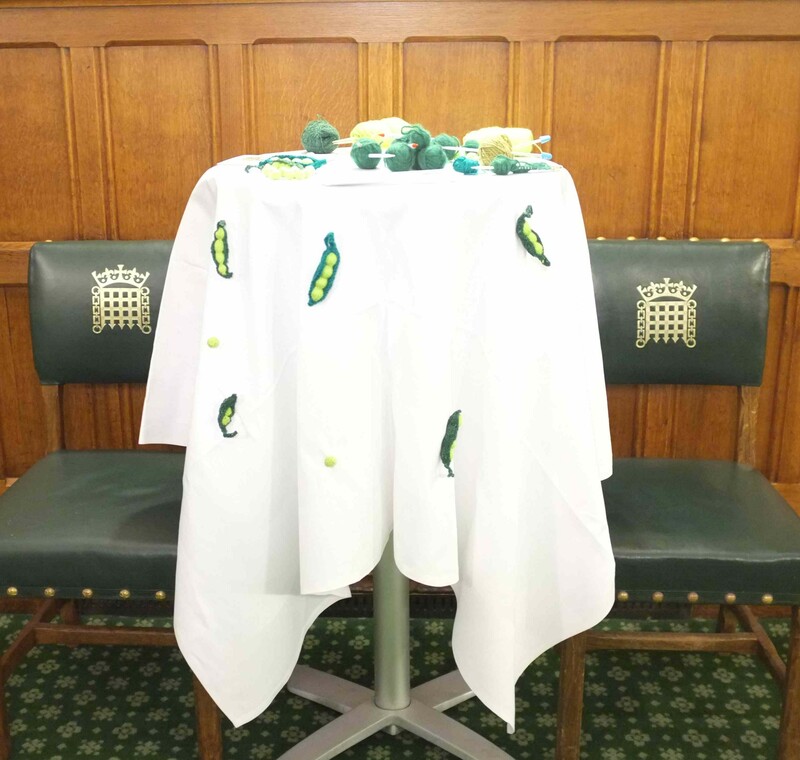 We have been to the Knitting & Stitching Show and we have knitted peas in the House of Commons, so we have lots to report. At the K&S Show lots of you came and gave us your knitting, and quite a few donated part of their stash too. This means that we can make up more of those knit boxes to send out. We’ve been really busy at K4P HQ. 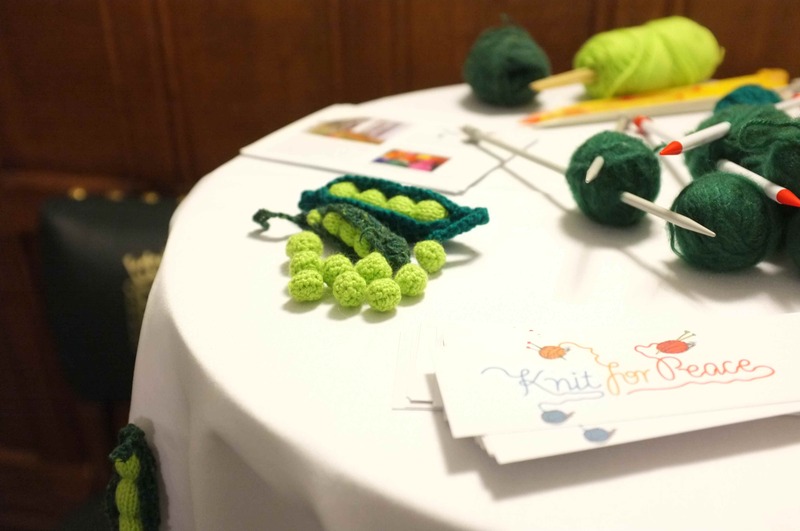 If you live nearby and can afford to give us a few hours to help us parcel up knitting we would be most grateful. Just drop us a line, we look forward to hearing from you. Don’t forget we are still taking bookings for our exciting Knitting Holiday in India. The latest news is that Rowan have agreed to supply goody bags for every participant so we will have some lovely yarns to play with. So big thanks to Rowan Yarns.